Spirulina Extract 4 fl. oz. Spirulina - Helps to provide nutrients for the maintenance of good health. * Spirulina arthospira. Parts used: whole herb 32. SPIRULINA - ( Spy'-roo-leen-ah ) Is a protein and vitamin source and much more. The group of water plants known as algae gives us this plant. Spirulina is a very nutritious, tiny, aquatic plant, which prefers an alkaline water (anti-acid) environment. Spirulina is especially appreciated for its enormous agricultural potential, in that it can produce up to 20 times the yield of soybeans, in the same amount of space. From a nutritional point of view, its high quality protein content of 60% to 70%, a high vegetable iron and magnesium content, the unsaturated, essential fatty acids of gamma-linolenic, linoleic and arachidonic, a rich source of chlorophyll, and an abundant supply of growth elements for new cellular life, RNA and DNA, as well as a reliable vegetable source of Vitamins A, B-1, B-2, Niacin and B-12, make this a very valuable plant with which to properly nourish ourselves. Spirulina protects against radiation and helps us rid ourselves of it. 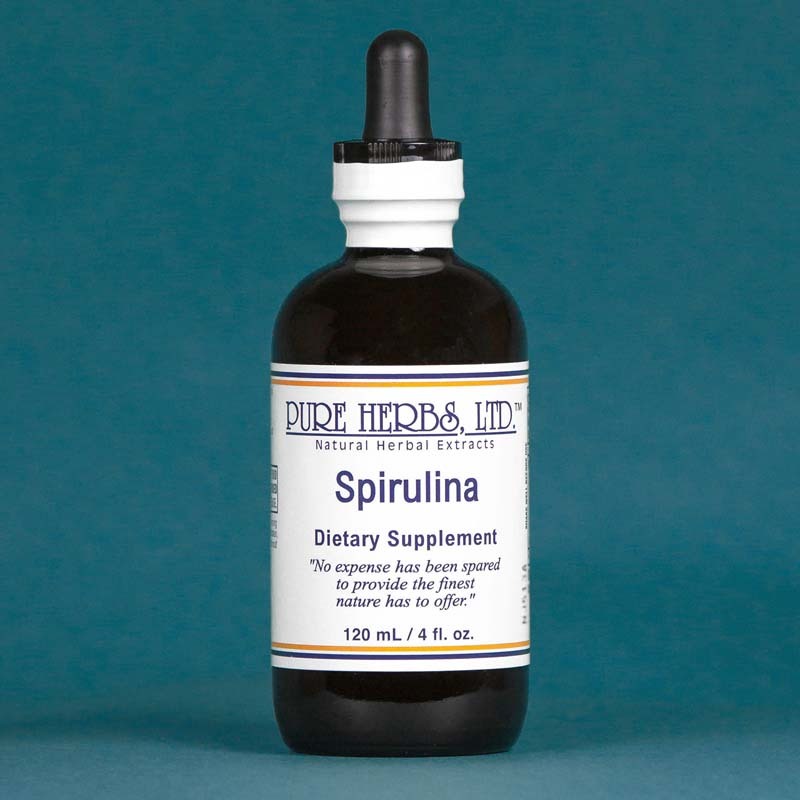 Spirulina also helps out with the nervous system, so we maintain our good humor. When a person wishes to maintain proper health or reduce weight by reduced food intake, Spirulina can help satisfy nutritionally and correct deficiencies, without filling a person up on empty calories and carbohydrates. DOSE:40 to 80 drops per meal. If used as a dietary supplement at a meal lacking protein, or to correct deficiencies of nutrients given above, then 1 tsp. 3 times per day.